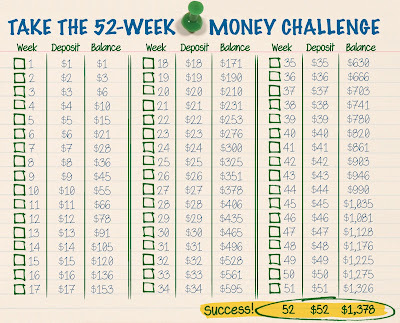 Being Frugal and Making It Work: Save $1,378 in 2016 With the 52 Week Money Challenge! Will you join this 2016 savings challenge with the Being Frugal and Making it Work family? Wow! This is an awesome idea! I'm starting this week.